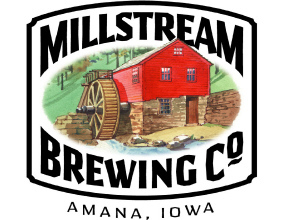 Millstream Brewing Co. is celebrating the one-year anniversary of Iowa’s high-proof beer law by unleashing its double India pale ale, Hop², to retailers in Eastern Iowa. It is its first bottled batch of a high-alcohol style brew, which breweries like Millstream can now not only make but sell by the bottle to retailers — a no-no under Iowa’s old law. “It’s great. It’s really broadened my ability to brew. It’s increased our range of product, opened up the recipes we can use, and even improved some of the beers we made already,” said Millstream brewmaster and co-owner Chris Priebe. One year after it was signed into law last March, Iowa breweries are taking advantage of the new high-proof beer rules with a new range of products to pique the interest of beer connoisseurs. Iowa brewers say the law has opened doors for their craft competitively and creatively.